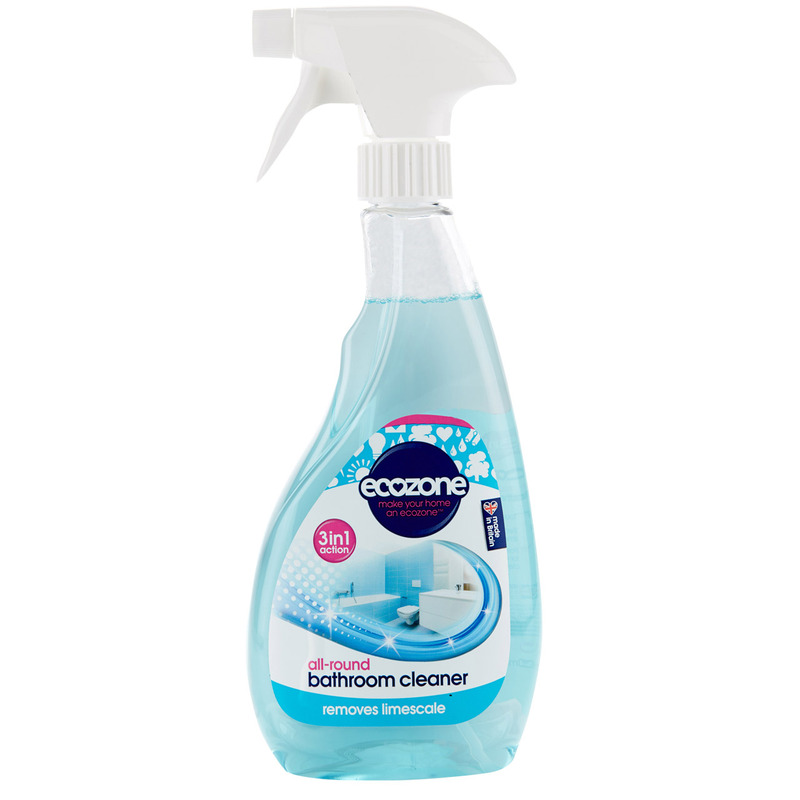 This eco-friendly Ecozone Bathroom Cleaner is tough on soap scum, limescale and bathroom dirt. The plant based cleaner uses essential oils and is a fantastic way to help cut down on your consumption of chemicals in the home without sacrificing great cleaning power. Kills 99.9% of bacteria. With an improved trigger and dual action nozzle to get to those hard to get to those hard to reach places. Free from: Synthetic fragrance and dyes, petrochemicals, allergens, artificial preservatives, animal testing. Instructions for use: Spray onto surface and wipe with a dry or damp cloth. For tougher marks, leave to act for a few minutes before wiping. Rinse off with water. The Ecozone 3 in 1 Bathroom Cleaner and Limescale Remover - 500ml product ethics are indicated below. To learn more about these product ethics and to see related products, follow the links below. A handy multi purpose cleaning product for the bathroom. We absolutely wanted one that cleaned limescale and this does the trick well. There are currently no questions to display about Ecozone 3 in 1 Bathroom Cleaner and Limescale Remover - 500ml.